In my tiny home we celebrate Yule. Yule normally falls on either the 21st or 22nd of December each year. Tuesday, December 22 is the Winter Solstice this year. This is longest night of the year, when the light of day is shorter than the dark of night. After the solstice, slowly, day by day, the days will become longer until the Summer Solstice when light will be longer than dark. 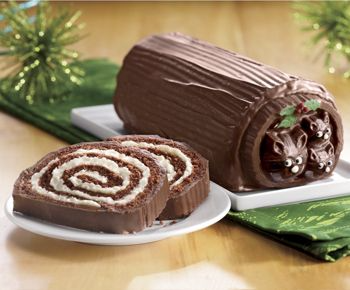 The Yule Log tradition traces way back to the Norse. It is a symbol for always having warmth. As you may remember, people heated their home with wood, and wood had a tendency to become scarce. The original Yule log was a full tree, brought into the home with great ceremony and one end was shoved into the hearth. The fire already going in the hearth would have been lit with a small section of the previous year's Yule log remnants. The new tree would burn until a small section was left. This small section would be preserved as the Yule log. And so it would continue, year after year. For obvious reasons, dragging a full tree into a tiny home would be silly. Instead the Yule log in my home has been a log preserved from the cords of wood stacked that previous winter, set aside in a place of honor beside the hearth. If I happened to be living in a home without a fireplace, I would use it on a campfire instead. Some years it wasn't practical to have a campfire or bonfire, so I purchased a reusable Yule log, which safely burns tea light candles each year (a photo of it in use is on the top of this post.) I just saved the piece of Yule log not yet burnt to burn the next time Yule comes around and I had a fireplace or campfire/bonfire. So what if you live in a warm climate, don't do outdoor fires, have no hearth, or just don't want to mess with fire? 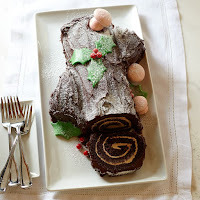 Another way to embrace this tradition is to make a Yule Log cake. 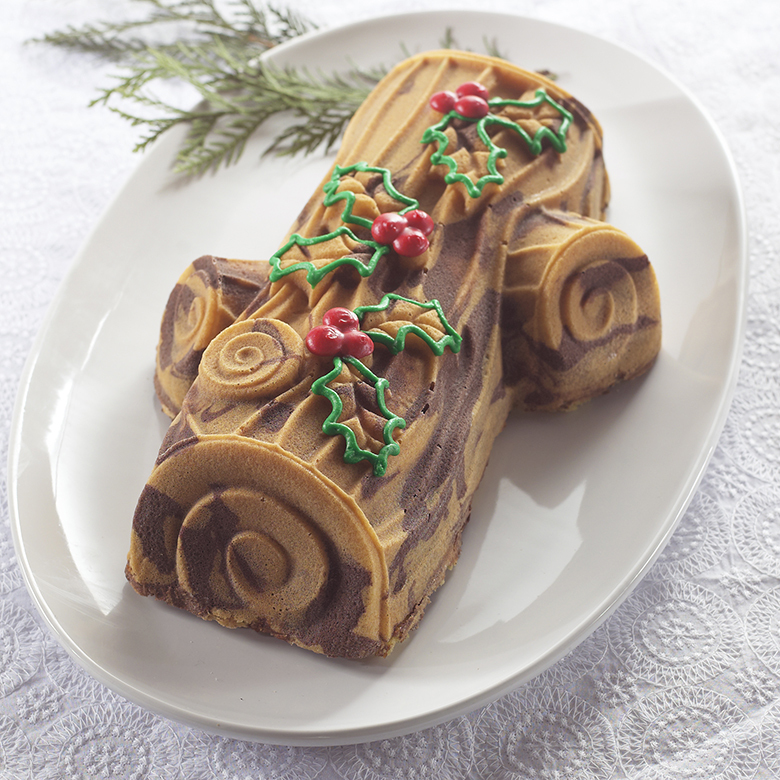 Serve it as a special desert on the Solstice to start your own tradition. Swiss Colony has sold Yule Log cakes for as long as I can remember. They call it their "Swiss Colony Forest Friends" cake. This would make a nice gift too since Swiss Colony ships. Swiss Colony sells their Yule Cake for $24.95. Williams Sonoma makes a Yule Cake as well. They call their cake the Buche de Noel. A little more pricey (like buying designer jeans) at $74.95, they ship as well. I like the mushrooms they have added too. However, if you are like me, budget is an issue as well as personal choice. I choose to make my own. I like to select the type of cake I am making and it is always fun to have the children and grandchildren decorate. 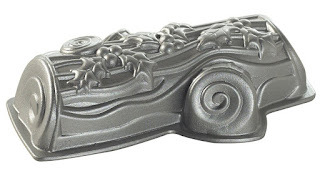 I own the Nordic Yule Log Cake Pan. Each year I make my own cake and change it up just a bit. Frosting it with chocolate and adding powdered sugar and cocoa, I have a nice looking cake with a minimum of effort. After I am finished, I simply pack the pan away with my decorations for the next year. The best part is the cost of the pan is just $26 and you can use it year after year. Not into baking or having a big chunk of wood hanging around all year? How about just getting a Yule Log ornament to add to your Tiny House holiday decor? 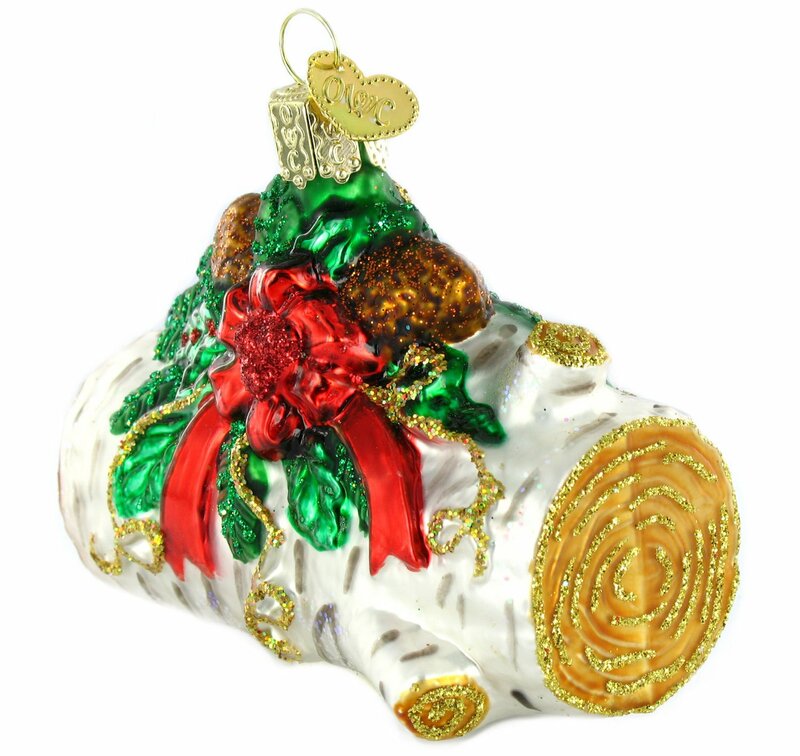 Old World Christmas offers a beautiful hand-made ornament of the Yule Log. At $15.95, this would make a lovely gift as well. 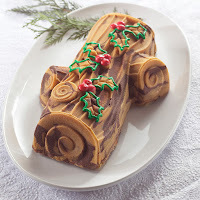 Many who make Yule cakes do them using a flat sheet of cake and then spread on a filling, finally rolling the cake to form a log. Here is a cool video from the Chef at Colonial Williamsburg's pastry shop showing you how to achieve this. 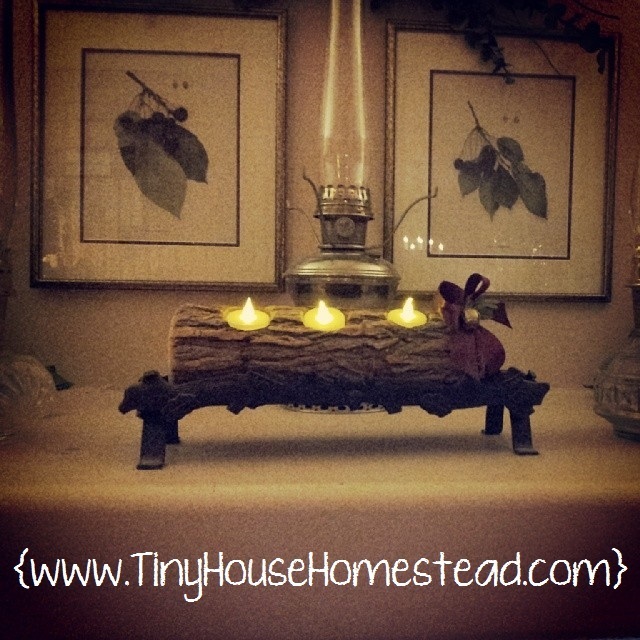 To sum it up, making traditions in a Tiny House is no different than in a larger home. A Tiny House dweller just needs to be more conscious of what will fit and what can be stored. Baking a special dessert is an easy tradition to continue because the treat is eaten. What traditions do you keep in your Tiny House? Share with us in the comments below. Nice post. I also celebrate yule. I love to cook up a prime rib and sip some cider. We eat and open gifts and play games. Awesome, Bobbie! Happy and Blessed Yule to you and your family!